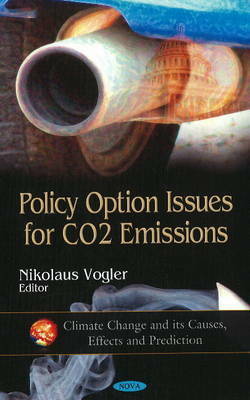 Global climate change is one of the nation's most significant long-term policy challenges. Human activities are producing increasingly large quantities of greenhouse gases, particularly carbon dioxide (CO2), which accumulate in the atmosphere and create costly changes in regional climates throughout the world. This book emphasises how the most efficient approaches to reducing emissions involve giving businesses and individuals an incentive to curb activities that produce CO2 emissions. This book consists of public documents which have been located, gathered, combined, reformatted, and enhanced with a subject index, selectively edited and bound to provide easy access.